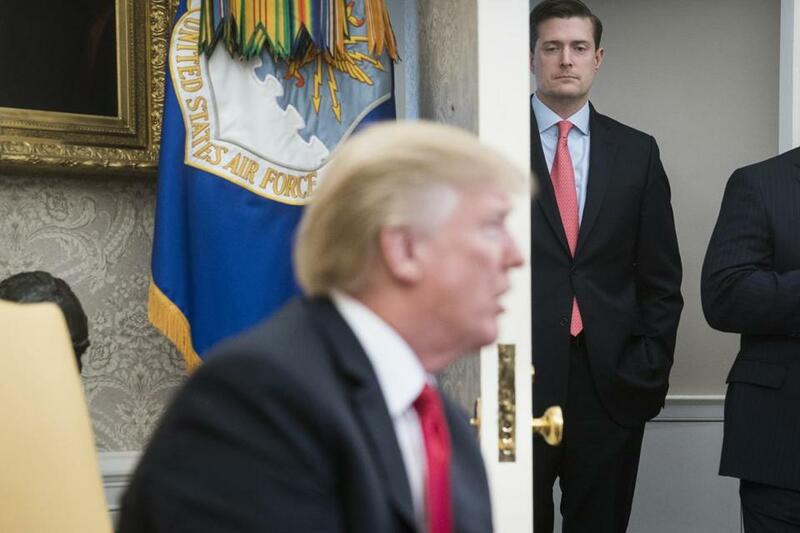 Then-White House Staff Secretary Rob Porter watchesd as President Trump spoke. 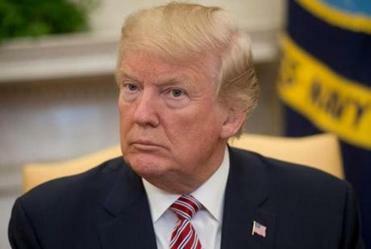 The resignation of White House staff secretary Rob Porter this week has ensnared the administration of President Donald Trump in yet another web of problematic questions. Porter resigned after accusations and photographs of past incidents of domestic violence were reported in the media, first by the British tabloid the Daily Mail. After initially defending Porter, the White House and Chief of Staff John Kelly tried to distance themselves from Porter - and from any awareness of the allegations against him. Reporting from The Washington Post and other outlets, though, makes clear that both Kelly and White House counsel Donald McGahn have known about the allegations against Porter for months. Their attempts to defend Porter nonetheless has spun off other problems, including a report on Friday that Kelly pushed senior staff to defend his rapid response to learning about the abuse. Trump, recognizing the peril of acknowledging assault accusations, defended Porter later in the day by noting that the former staff secretary fervently denied the allegations - as Trump has denied the allegations against himself. Below, a timeline of the allegations against Porter, the extent to which the White House knew about those allegations and the various responses from people close to Porter as the whole story began to come out. 2000. Colbie Holderness meets Porter while the two are attending college in the Boston area. President Trump says he wishes an aide accused of domestic violence well and hopes he’ll have a great career ahead of him. June 2003. Holderness and Porter marry. Summer 2003. Porter is allegedly verbally abusive during their honeymoon in the Canary Islands and kicks Holderness. Summer 2005. During a trip to Italy, Porter allegedly strikes Holderness, resulting in a black eye. 2008. Holderness and Porter divorce. 2009. Jennie Willoughby meets Porter at church. November 2009. Willoughby and Porter marry. February or March 2010. Willoughby seeks a separation from Porter. June 19, 2010. After Porter punches a glass door in their home, Willoughby files a police report and receives a protective order. 2013. Willoughby and Porter divorce. March 2014. Porter assumes the position of chief of staff for Sen. Orrin Hatch, R-Utah. February 2016. A woman dating Porter - who so far remains anonymous - contacts Willoughby to say that Porter was abusive to her and to ask if Willoughby had endured similar experiences. Nov. 8. Trump wins election as president. January 2017. As part of the process for Porter to receive security clearance to serve as staff secretary to Trump, the FBI contacts both Holderness and Willoughby. At some point this month, White House counsel Donald McGahn learns about the allegations. The White House told The Post that McGahn knew only that Porter’s ex-wives were prepared to make damaging allegations against Porter and that Porter said the allegations were not true. Jan. 22. Porter is sworn in as staff secretary. February. Holderness contacts Willoughby to discuss their experiences with Porter. June. The FBI flags concerns about Porter to the White House. September. McGahn learns that concerns about the domestic violence claims were holding up approval of Porter’s clearance. According to Post reporting, McGahn at some point tells White House Chief of Staff John Kelly about the holdup and both agree that Porter should remain in his position. Sep. 21. Porter, apparently angry about not having received his clearance, calls Willoughby to ask if she’d alleged that he’d been violent in her interview with the FBI. Sep. 22. Willoughby informs the FBI about the call. Sep. 25. The FBI contacts Holderness to ask if she’d been contacted by anyone regarding Porter. Late September. At some point, the FBI asks Porter to explain the circumstances behind the photo of Holderness with a black eye. October. The anonymous girlfriend, who works for the administration, tells Kelly personally about the abuse allegations, according to the Daily Mail. Autumn. Kelly is allegedly told that Porter wouldn’t receive clearance due to the abuse reports, according to HuffPost. (The Daily Mail puts this in November.) Porter tells Kelly that he’ll resign in December, but Kelly encourages him to say. November. After ‘‘discovering suggestive text messages between Porter and White House communications director Hope Hicks,’’ the Daily Mail reports, the anonymous girlfriend ends their relationship. At some point this month, The Post has reported, the anonymous girlfriend contacts McGahn about the allegations. Early February 2018. The Daily Mail contacts the White House about its upcoming story on Porter. Feb. 6, afternoon. The White House reaches out to Hatch’s office to ask for a statement of support for Porter, allegedly blaming Corey Lewandowski for the story surfacing according to the Daily Beast. Feb. 6, 7:30 p.m. The Daily Mail story breaks. It includes several statements. The defense of Porter to some extent included the involvement of Hicks, with whom Porter is apparently still romantically involved. 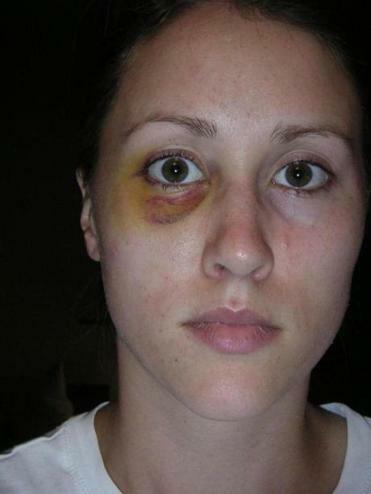 Rob Porter's ex-wife Colbie Holderness is pictured in a photo from 2005, when she says Porter gave her a black eye on an Italy trip. Feb. 7, 2 a.m. The Intercept’s Ryan Grim breaks the news about the photographs of Holderness’ eye. His first wife, Colbie Holderness, provided these photos from a vacation they took together in Florence, Italy,’’ he tweets with a photo. 1:30 p.m. During the daily press briefing, Sanders addresses Porter’s resignation. She reads a statement from Porter. 1:50 p.m. Hatch releases a statement. 6 p.m. Hatch’s tune changes slightly. Tweeted Frank Thorp: ‘‘Just spoke to @senorrinhatch again, he reiterated he ‘‘would prefer (Rob Porter) not to resign. Just work his way through and do what’s right.’’ ‘‘I encouraged him to keep a stiff upper lip and work on his problems,’’ Hatch said. 9:39 p.m. Kelly, under fire for his handling of the situation, releases another statement. Feb. 8. Porter’s last day in the White House. 3:40 p.m. Deputy press secretary Raj Shah is asked about Porter and Kelly. Q Let me ask you if I can: The statement changed from John Kelly yesterday morning to the statement yesterday evening. He said, ‘‘based on new allegations.’’ But what changed yesterday, absent a photograph, in terms of new allegations? MR. SHAH: Well, I think what I just referenced. The reports had additional allegations; they had more information. Q So you’re saying the initial reports where two former wives accused him of violence, both physical and verbal abuse, was not sufficient for him to say that I think he’s a man of honor? MR. SHAH: There were a number of statements from the Press Secretary, from the Chief of Staff, and from others that reflected the Rob Porter that we’ve come to know working here for over a year, and the Chief of Staff for about the last six months. But the reports are troubling, and I think the statement from Wednesday night reflects the Rob Porter that we had seen in these news reports and some of these credible allegations. Q So to be clear, what was so shocking that had changed? He said it was ‘‘shocking.’’ What was he referring to? MR. SHAH: Yeah, and it’s the full nature of the allegation, particularly the images. 8:44 p.m. Kelly emails White House staff. 1:20 p.m. Speaking to reporters, President Trump comes to Porter’s defense.